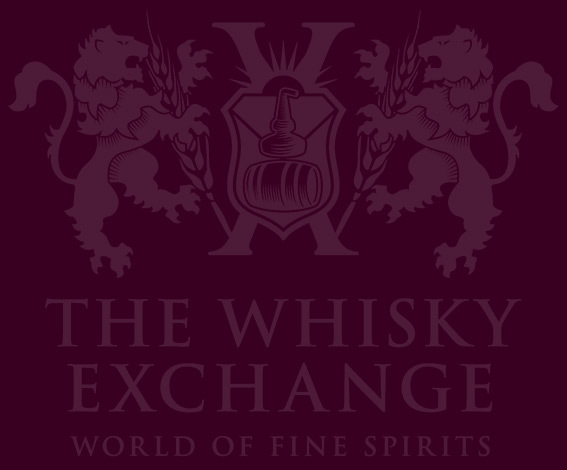 In early May, TWE Blog was one of a small group of highly-privileged whisky folk invited to attend a special event at the Midleton distillery in Cork. Although the invite mentioned the launch of the Midleton Single Pot Still releases, details of what exactly was to transpire were kept secret, provoking some speculation amongst the attendees as to what we were to be treated to. 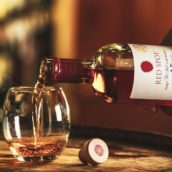 With Redbreasts 12yo & 15yo and Green Spot being the only pure potstill whiskies in the Irish Distillers portfolio, the chief guesses were that an older Redbreast or a new ‘Spot’ were about to be unveiled. How wrong we all were. After being bussed from the beautiful Castlemartyr hotel to the distillery and a tour of the old and new buildings – including a dizzying explanation of the manifold ways in which Midleton can vary their distillation techniques from the company’s engaging boffin Dave Quinn (who rejoices in the well-deserved title of Master of Whiskey Science) – we repaired to The Distillers Cottage, the former home of Master Distiller Barry Crockett, for the great reveal. As a quick explanatory digression, we should go through a few things about the style of whiskey formerly and confusingly known as Pure Pot Still. They say that necessity is the mother of invention, and so it serendipitously proved in the creation of Pure Pot Still – the necessity in question, as so often the case, being financial. Allow me to elucidate. Towards the end of the 17th century, a Board of Excise was introduced in Ireland by the evil British overlords who, over the next century or so, imposed a punitive and ever-increasing tax on malt – principally as a way of raising more cash from distillers, but it has also been speculated that perhaps they hoped that driving up the price of Irish whisky (as it was then, without the ‘e’) would have the corollary of dampening down some of the more irksome elements of the local populace who were calling the English nasty names, being generally awkward and kept doing embarrassing stuff like asking for their country back. Never ones to take a slap in the wallet lying down, the thrifty Irish distillers simply changed their mash recipe, cutting their malted barley with unmalted barley to reduce their exposure to the new tax. Job done, and new style of whiskey invented. Thanks, Necessity! The problem of nomenclature is slightly different – it’s not clear as to exactly when the term ‘pure pot still’ was introduced to refer to the style of Irish whiskey made from a mix of malted and unmalted barley. This is because in ye olden days of yore before the invention of the continuous still, all whiskey was pot still whiskey. It was only after the invention of the Coffey still in 1830 that non-pot-distilled whiskies were born, and in Ireland itself this kind of whiskey did not catch on – poor old Aeneas had to take his still over to the Scots, who embraced the new technology to create blended Scotch whisky and stole a march on their Irish rivals. To digress further, for which apologies, it’s worth remembering that Irish blends as we know them today have only really existed since the 1970s. Prior to that, the vast majority of Irish whiskies – including famous brands such as Jameson’s, Powers and Paddy – were all pure pot still. 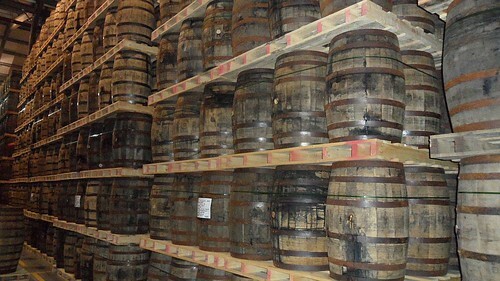 However, by the 1960s Irish whiskey had been in the doldrums for decades due to a lethal combination of changes in the laws allowing bottling in bond, prohibition, civil war, depletion of stocks, the rise of blended scotch, trade embargoes and falling demand due to changes in consumer tastes. 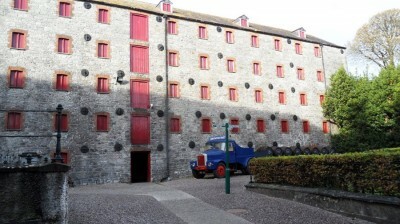 Many distilleries had closed before the remaining southern Irish distillers (Powers, Cork and Jameson) merged in 1966 to form Irish Distillers Ltd.
Less than a decade later the new company took the agonising decision to close down their existing distilleries (Bow Street, John’s Lane and Old Midleton) and consolidate their distilling operations entirely at a new distillery at Midleton. As well as preserving the tradition of the pure potstill style, the new distillery produced continuous-distilled Irish grain whiskey. 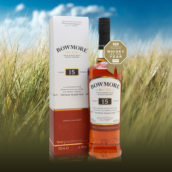 This grain whiskey – the only spirit of its type being produced in Ireland before the advent of Cooley in the early 1990s – was mixed with the pure potstill whiskey produced for Paddy, Powers and Jameson, and it was the latter blend on which the company decided to focus its marketing efforts to rebuild Irish whiskey’s image and reputation. 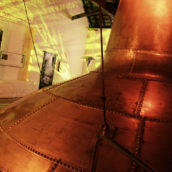 The rest is history, but thankfully Irish blends have retained their pot still whiskey component, making them fundamentally different to Scottish blends – there is no single malt Irish whiskey in any of the blends produced by Irish Distillers, although both Cooley and Bushmills produce blends with an element of single malt in the Scottish fashion. Getting back to the point, the name ‘Pure Pot Still Whiskey’ has not been officially protected or legally defined since being dropped from the Irish Whiskey Act in 1980. Hence, Cooley have in the past been able to describe Tyrconnell and Magilligan as pure pot still whiskey, when in fact they were single malts. Confusing, isn’t it? 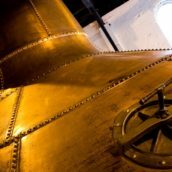 Linguistic semantics aside, the other problem with the term Pure Pot Still is that the usage of the word ‘pure’ has fallen into disfavour in the last few years in the UK – particularly after the ignominious Cardhu calamity of 2003 – and has been frowned upon legally in the US for much longer. Earlier this year Midleton’s owners Pernod Ricard explained that the 2010 edition of Redbreast 15yo had to be labelled simply as ‘Pot Still Whiskey’ in America so as not to fall foul of US labelling laws regarding the term ‘Pure’. Evidently Pernod have now decided to make a virtue of this awkward situation and have come up with the Single Pot Still name, both to help with the ongoing process of drawing Midleton into the limelight (on which an awful lot of marketing money is being spent), while also aiding the alignment of Single Pot Still Irish Whiskey with Single Malt Scotch in consumers’ minds. Timing-wise, it’s probably not a coincidence that Mitchell’s of Dublin no longer have exclusivity on the Green Spot brand (although thankfully they still feature prominently on the new packaging and, indeed, on the dedicated Green Spot website). 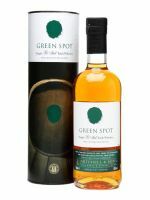 As the youngest single pot still whiskey produced at Midleton, and having had no money spent on marketing due to its previous scarcity, Green Spot was the obvious choice for a radical overhaul. With its fancy new packaging and fresh young taste profile, Green Spot has great potential for rapid growth now that it has Pernod’s full marketing and distribution muscle behind it. 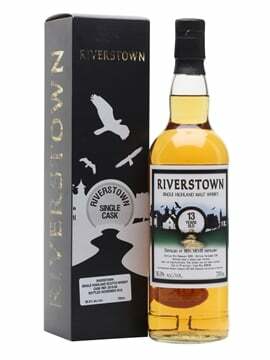 Given its relative youth (we were told that the average cask age has been narrowed to 8-9 years from 7-10yo previously), large quantities can be summoned up relatively quickly if demand surges – and of course it has a rock-solid humble provenance that strikes exactly the right chord with whiskey drinkers thirsty for heritage. But the trip is about much more than Green Spot’s facelift, as we discovered shortly after arriving in the very pleasant surroundings of the Distiller’s Cottage at Midleton. Dave Quinn was our host, and after we had tasted the new batches of Green Spot and Redbreast 12yo he unveiled two new whiskies that increased the number of single potstill drams on the market by 40% at a stroke. Here’s my notes for the Green Spot and Redbreast – I’ll post again shortly with more information and tasting notes on the two new additions to the single potstill range. Nose: Freshly-cracked black pepper, vanilla, sweetpea & honeysuckle. Develops apple, faint caramel, raisin fudge. Some doughy notes and honey oatmeal. Patisserie aromas of sweet cinnamon powder and icing sugar. 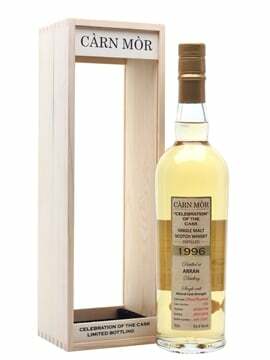 Palate: Very clean sweetness; faintly metallic with green barley, classic spicy potstill style. Faint aniseed, then the honeysuckle returns. Homemade cookies, oatmeal and apples again. Finish: Some residual spice, slightly astringent. Comment: Accessible and very easy to drink. A great introduction to the genre. Nose: Ginger cake, brandy butter, raisins & apple sauce. Nice big oaky notes. Rich and expressive. Creamy vanilla and marshmallows. Palate: Amazingly silky texture on the palate. Very raisiny but the faintly metallic barley-esque, porridgey potstill style still shines through. Black cherry yoghurt, damson spongecake & blackcurrant leaf flavours on a bed of pristine oak. 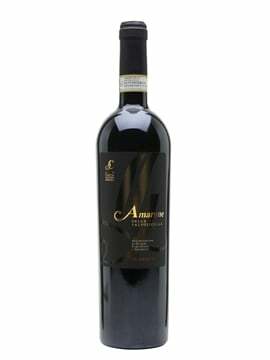 Finish: The flavours remain very well-integrated throughout the long finish. Amazing balance. 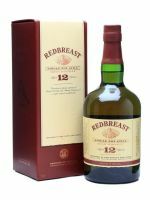 Comment: We were told that this batch of Redbreast 12yo was from 77% first fill bourbon and 23% first fill sherry casks. That would seem to be the perfect ratio for this whiskey. A masterpiece. To read more about the Single Pot Still family head on over to our main website. Will they be selling the new 12-year-old cask strength outside Ireland, I wonder? It’s a fantastic whiskey.